Bribing the sacristan to put the church clock forward, so that buses could leave the terminus early and pick up as many passengers as they could on the way to Valletta, is not a fact you would find in some history book. 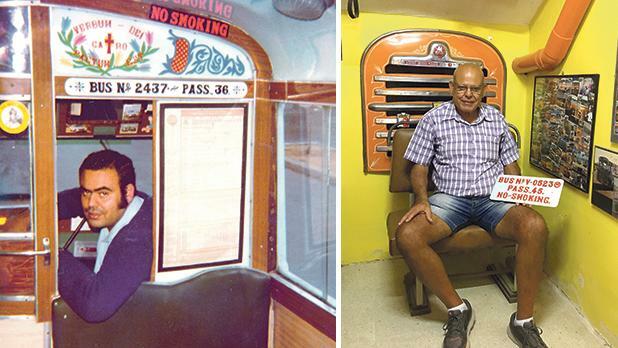 But this and many other anecdotes, photographs and documents uncovered over the past few months are fitting in like the pieces of a jigsaw puzzle which the National Archives of Malta hopes will present a clearer view of the history of Maltese buses. The Malta Bus Archive project forms part of a larger National Archives project called Memorja − an oral, sound and visual archive. 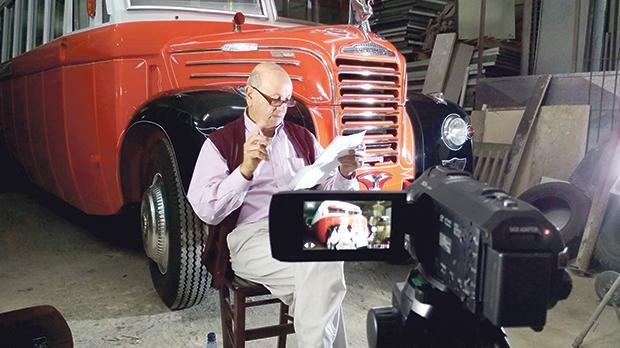 “Wherever we go and whomever we interview, they are always so happy to learn that such a central part of the Maltese culture of the 20th and early 21st century is being recorded for future generations before it is too late,” Richard Stedall, Malta Bus Archive coordinator told Times of Malta. Consiglio Mamo, 82, 1954 to 1977, driver: Bus drivers and conductors used to be fined for all sorts of things – and fines could be the equivalent of a day’s wage while penalties included being suspended from driving or conducting for eight days (15 days for serious breaches). Contraventions included ‘being improperly dressed’ (such as not wearing the uniform cap, socks or wearing a uniform that was not clean or pressed) or having a dirty bus – even just a couple of tickets on the floor could land you a fine. Drivers were not allowed to drive too fast or too slow, and when loading the bus at the terminus, they had to remain sitting behind the wheel. Police sergeants would carry out inspections on buses too, making sure they were in good running order. The bus archive, which will also be accessible online, is not limited to just recording memories of people who worked in the industry. Mr Stedall called on readers who remembered anything related to the buses owned by the British Military, tourist souvenirs, maps and timetables, tickets, bus body builders, bus chassis importers, conductors, supervisors and traffic police among others to come forward. Together with volunteers he has been interviewing bus owners, drivers, conductors and builders since August. The interviews are done in Maltese, as it is important to capture any phrases or vocabulary that are unique to the industry. Meanwhile, a volunteer is helping translate the interviews in English for the benefit of any non-Maltese speakers who might be interested. Get in touch on mbaf@ maltabusarchive.com or look up www.maltabusarchive.com for more information, especially if you remember buses in World War II or if you would like to lend a helping hand as a volunteer. 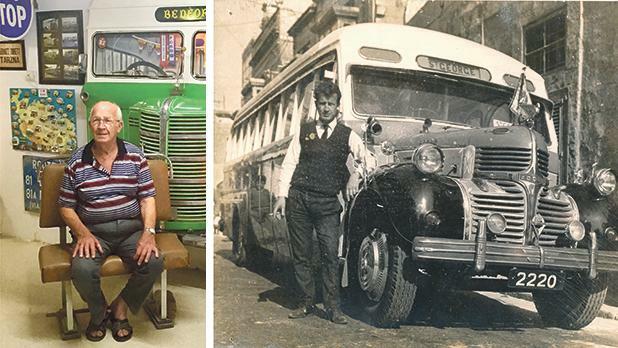 Joseph “Boqboq” Ellul, 72, 1977 to 2011, driver: He remembers the first female bus driver, and how unusual this was in such a male-dominated industry. Women often ended up owning a bus after their husband passed away, while forward-thinking couples would register the bus in the wife’s name so that she would have some assets. Although he was offered a job with Arriva in 2011, he refused partly out of solidarity to the owners, and also because the wages were incredibly poor. Instead he switched to coach driving. He still drives a coach for the family he used to drive route buses for. Charlie “Kalatru” Borg, 65, 1966 to 2011, conductor, driver and owner: Strikes were common throughout the years, but especially from the late 1960s through to the 1980s. It was not uncommon for Charlie to reach Valletta and be ordered to park his bus and leave it switched off. Sometimes strikes were announced in an ad-hoc manner. More often than not these strikes were called due to inadequate wages. In the 1960s, the government ordered the police and the army to drive government trucks and buses as emergency public transport. The latter were taken out of drivers’ garages and were parked on the parade ground at Floriana, where they suffered all kinds of damage. 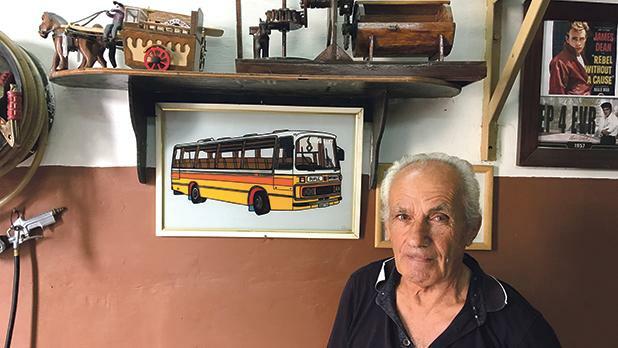 Francesco Tonna, 85: His late father, Carmelo, and uncles Joseph, Salvatore and Paul, all Rabat carpenters, built around eight bus bodies in the late 1930s and late 1940s. 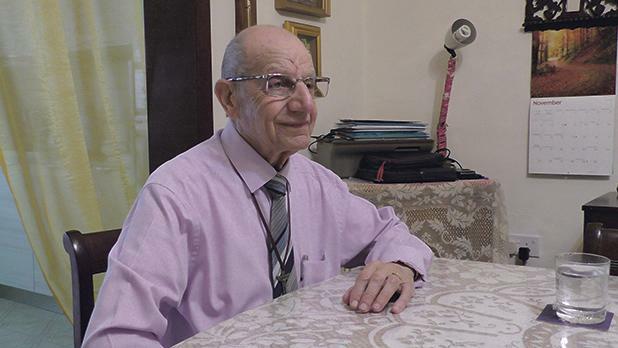 When he was 13 in 1946, he helped his uncle Paul build the body on a new Bedford bus chassis for a Rabat owner, which was then named after Saint Mary. In those days the body frame and many of the interior fixtures and fittings were made of wood, built from ash or beech, with Douglas fir used for the floor. Mahogany was used for many of the internal fixtures.